Partytsky, Omelian [Партицький, Омелян; Partyc’kyj, Omeljan], b 1840 in Teisariv, Stryi circle, Galicia, d 20 January 1895 in Lviv. Linguist, ethnographer, historian, educator, and civic figure. After graduating from Lviv University (1864) he taught at the Ternopil gymnasium (1864–8), the Academic Gymnasium of Lviv (1868–71), and the Lviv Teachers' Seminary (1871–95). 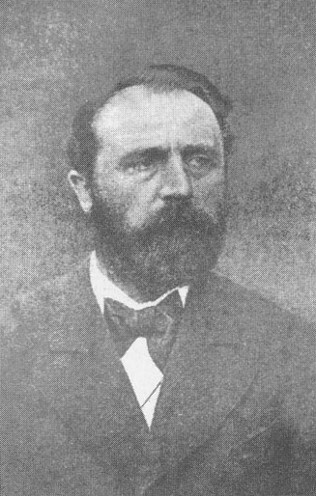 An ardent supporter of the national populist movement, Partytsky was an executive member of the Prosvita society, editor of its calendars and books, a writer of textbooks in language and literature, and an editor of newspapers, including Hazeta shkol’na (1875–9) and Zoria (Lviv) (1880–5). 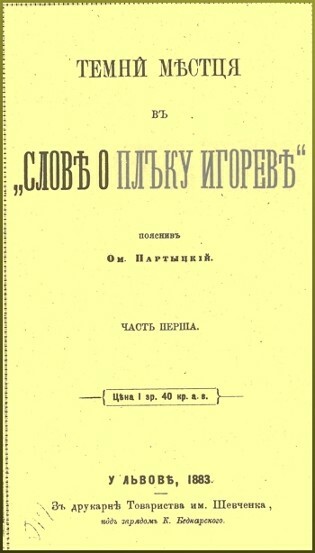 He compiled a substantive German-Ruthenian dictionary (1867), translated Slovo o polku Ihorevi (1884), and wrote Starynna istoriia Halychyny (The Ancient History of Galicia, 1894).